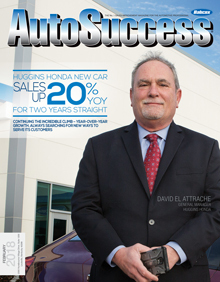 When we last spoke with David Elattrache, general manager of Huggins Honda in North Richland Hills, Texas, in February 2017, his dealership had just put up a banner year. The dealership — which serves Fort Worth, Dallas and the northeastern section of the state — had grown its new car sales 20 percent over the previous year and had put in place some new marketing initiatives to keep that momentum going. We wanted to check back in with Elattrache’s dealership a year later to see if he and his team had been successful in that effort. The result? The idea of building a team instead of a collection of employees is one that Elattrache is very careful to keep in mind and put into action. With a staff of almost 200 people, he doesn’t want his people to become faceless cogs in the machine; the Huggins staff is one that sees that success for one is success for all. of all the different departments,’ and I believe that’s a very true statement.” Elattrache said this also holds true for the Huggins family, who have supported him and his team through the evolution of the dealership. The dealership, started in 1983 by Gene Huggins who worked with sons Craig and Ron, has always focused on what’s best for its team and its customers. 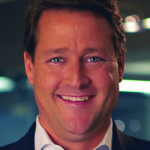 Future efforts will include focusing on first-time Honda customers, increasing vehicle leasing rates and a few other items that Elattrache believes will increase service repair orders. “We want to take honoring the customer’s time to a whole new level and make it an easy process for them,” he said.